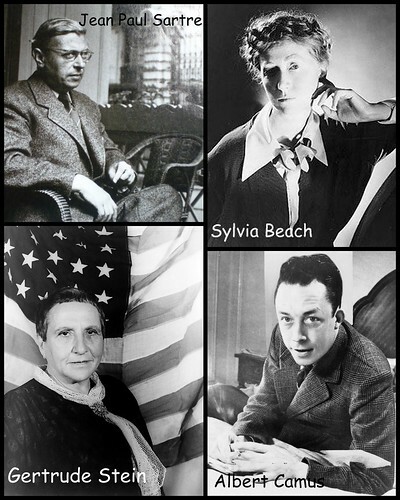 If you are interested in the history of Paris during the first half of the 20th Century — including the people of Paris’s Lost Generation, the facts and stories of German Occupied Paris, and happenings in Paris post-World War II — then the four names and faces above are likely familiar to you. But how about these four? Not so much? They were not very familiar for me, either. 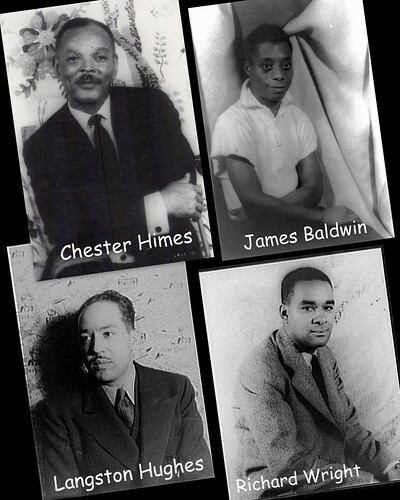 Sure, I knew that Richard Wright was an author, along with James Baldwin and Chester Himes, and I’d admired Langston Hughes‘s poetry since my college English Lit days, but what I did not know was that all four of these men spent part of their lives as expatriates in post-WWII Paris. How did I come to learn more about these men as well as others with African roots including scholars, politicians, and artists in Paris? Through Entrée to Black Paris™. And how is it that I found out about Entrée to Black Paris™? A couple of weeks ago (Friday, October 15), I attended a blogger’s meetup at the Living b’Art restaurant in Montmartre hosted by a Paris-visiting Andi of Misadventures with Andi and Erica of Haven in Paris and the HiP Paris Blog. Tom Reeves came around and asked for each blogger’s name and site information. (This was also how I knew I would not need to take anyone’s information for myself — I had this feeling that it would show up in his post later, and I was right! I love it when other people are thorough researchers for me. 😉 ) I wrote down his web address so I could check on his post about the evening and learn more about his and Monique’s (Tom’s business partner and wife) work here in Paris. When I read the very thorough post Tom wrote and posted the next day, I clicked through the links of the other bloggers present, and came upon Monique’s blog for Entrée to Black Paris™. I was very intrigued. The whole concept seemed the kind of out-of-the-box Paris experience I crave (you know, as an antidote to the kinds of stuff I wrote about in the rant I posted on “typical Paris”). I was even more delighted to discover an email in my inbox just a short time later with an invitation to go on one of the walks outlined in the Discover Paris!™ — Entrée to Black Paris™ itineraries. This walk highlights the lives of writers such as Richard Wright, James Baldwin and Chester Himes, and other literati (5th and 6th arrondissements). 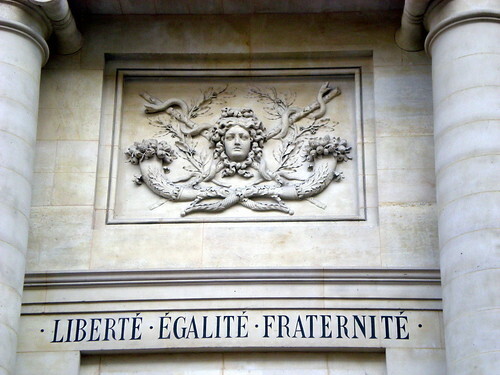 Learn about contemporary black French associations, the black heritage of the great French writer Alexandre Dumas, and the author of the French law that declares slavery a crime against humanity. It’s a perfect description of what we saw and did. On the walk, I learned a tremendous amount about the history of Paris, for Monique deftly weaves “standard” information about the sights in addition to facts aligned with the specific focus of an Afro-centric heritage in Paris. I said to Monique at the end of the tour, “This was a breath of fresh air!” for it really was. In a tourist industry that is focused on very white, upper-class pursuits and interests, this tour showed me a Paris that felt down-to-earth and real. This tour did not show a “fantasy Paris” that glosses over some of the intense and bloody, discriminatory parts of French history, but a Paris that shows the city has drawn people from all socio-economic, cultural, and racial backgrounds and has a history rich in diversity. 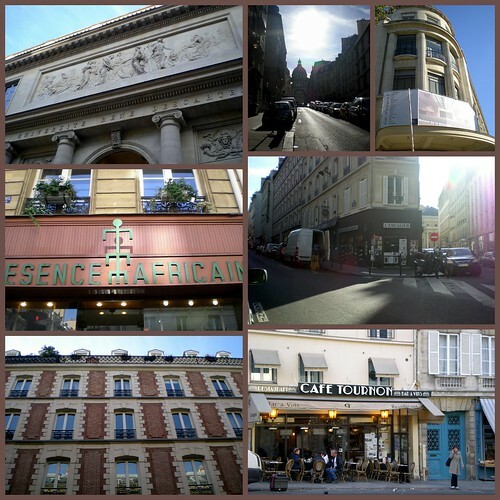 I loved as a bookish, literature-geek chick the emphasis on literary Paris in this tour. 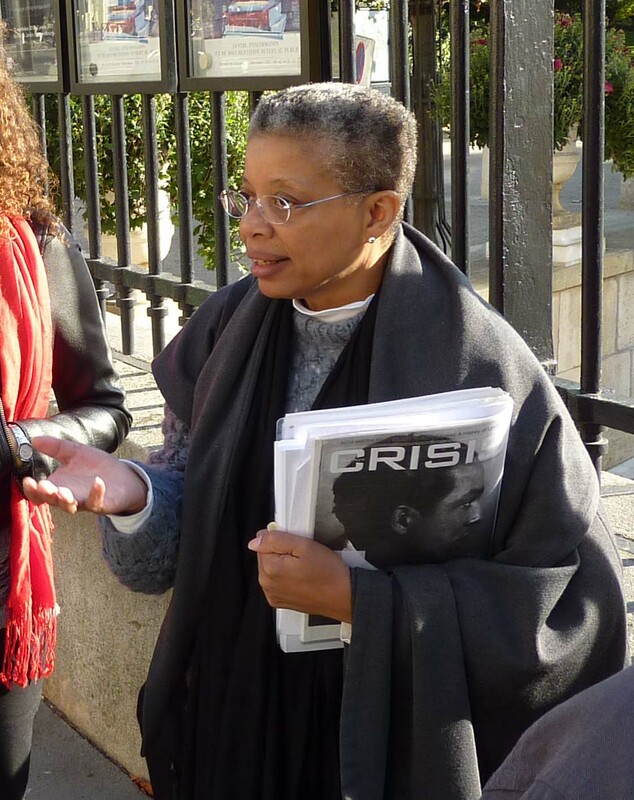 I noted on the Discover Paris!™ site for the Entrée to Black Paris™ tours that there are a total of 10 guided and/or downloadable tours that focus on the Afro-centric heritage of Paris. I would love to be able to do them all at some point — the information Monique presents is like taking a mini-course in Paris history all within a couple of hours. Pamela and Bruce of 30 Days in Paris. Their posts are on their Facebook page linked on their website. The post for Day 21 covers their perspective of the tour. But, the story does not end here! (This is me here, you know, the lady that breaks all of the blogging rules and has never-ending posts.) At the end of the tour, Tom gave me a copy of his book, Paris Insights: An Anthology, which I dove into on the Métro after our tour. I was also delighted with its contents. Remember how I had that project I was working on, the one where I had to write the 100-word descriptions of 100 sights and services in and around Paris, centering on the top tourist places? The one that about broke me, and led to my rant about Paris and Paris blogging? Well, I had read so many things about Paris just before going on the Black Paris After World War II tour, that I was not sure how I would feel about reading MORE about Paris. But here’s the thing about this book. It is just as the title states: insightful. Paris Insights: An Anthology is a collected selection of the articles Tom, along with a couple of inclusions by Monique and one other guest writer, wrote for the subscriber newsletter connected with his and Monique’s tour business Discover Paris!™. Each section contains a minimum of six articles about both well-known and lesser-known sights in Paris, Paris experiences, historical perspectives and information, and goods and services. At 136 pages, the book is a substantial but very readable collection of insights about Paris. The Foreword, written by Monique, explains the kind of person who will appreciate the information in Paris Insights: An Anthology. In the article entitled “Tourist or Traveler?“, Monique explores the idea that a tourist is one who makes “a journey where one returns to the starting point” whereas a traveler is one who, “goes on a trip or journey…one that travels to distant or unfamiliar places.” She notes that with the definition of tourist, the emphasis is on the return to home, whereas with a traveler, the emphasis is “on the going, the venturing to a new or foreign place.” The traveler is the kind of person who wants to “interact much more with the people and places found at their travel destinations” (quotes from the Foreword of Paris Insights: An Anthology, pages xi-xii). It is for the traveler that this book was written. If you have been reading this blog for long, then you know that second part about “looking beyond the stereotypes” is exactly my kind of thing. Other nice touches in the book, which I found to be of exceptional quality for a self-published work, include a full index, up-to-date revisions, and excellent photos to accompany the articles. It’s a very well-presented work, and stands apart from typical tourist guides in with the very comprehensive but readable information given. Pricing information, an online preview, and access to secure online purchasing can be found at the book’s portal page here: Paris Insights: The Book. After the tour, after reading the book, I had to know more. I was trying to piece together all the ventures Tom and Monique were juggling, and I was really interested in their story — the story of how they came to Paris, and how Discover Paris!™ came to be. Tom and Monique graciously agreed to meet with me the last week of October, 2010 so that I could ask them some more questions about their ventures and get a better sense of who they are as people. This is something important to me. If I am going to endorse something, then I want to know how that something came to be: the motivations and origins of the venture. I am “Curious Karin” when it comes to people’s stories, and I guess situations like these are when the writer and storyteller in me really come out. I want to know the back-story! I don’t think I was overly nosy, prying into their entire lives (I hope that’s not the case! ), but I did ask them to share with me the story about “Why Paris?” I like to know why it is that people are here, for, as I have written before, it is almost invariably one of these three reasons why people come here to Paris: for work, for love of the city, or for a loved one (or some combination of the three). I like to know people’s motivations for becoming expatriates and giving up a life in their home country for a new life in a new place. It is an act that requires a lot of courage, moxie, strength, and persistence, so I’m curious about what powers draw people to do such an atypical thing compared to the average person. Monique grew up in Houston, Texas, and her love of things French can be traced to her four-year-old preschooler self who had a wonderful French teacher at that impressionable age. She grew up studying the language in school and being interested in not only the language, but the culture of France as well. She pursued studies as a veterinary pathologist and toxicologist, which eventually led to a job offer in Paris with a pharmaceutical company. Tom grew up in the Bay Area around Oakland, California, and he’d long wanted to learn a second language. When he was in his 20’s back in the mid-1970s, he read an article called “How to Live in France for $1,000 a Year” in a magazine he recalls was Esquire, or one like that publication, and he was intrigued. He quit his job, enrolled at Alliance Française in Paris, studied for an initial course, and lived with a French family while he did so. Over the next three years, Tom moved from city to city in France, becoming more fluent in French, until eventually returning to the U.S. with a Bulgarian wife. Post-Bulgarian wife, Tom renewed his interest in all things French, and enrolled at the Alliance Française in Berkeley where Monique was now located as well. They connected at the AF Berkeley Chapter. A romance ensued, and then Monique’s job offer with the pharmaceutical company came up, so they both decided to relocate to France for work, for love of the city, and for a loved one, an “all of the above” situation when it comes to my criteria of usual motivations for moving to Paris. 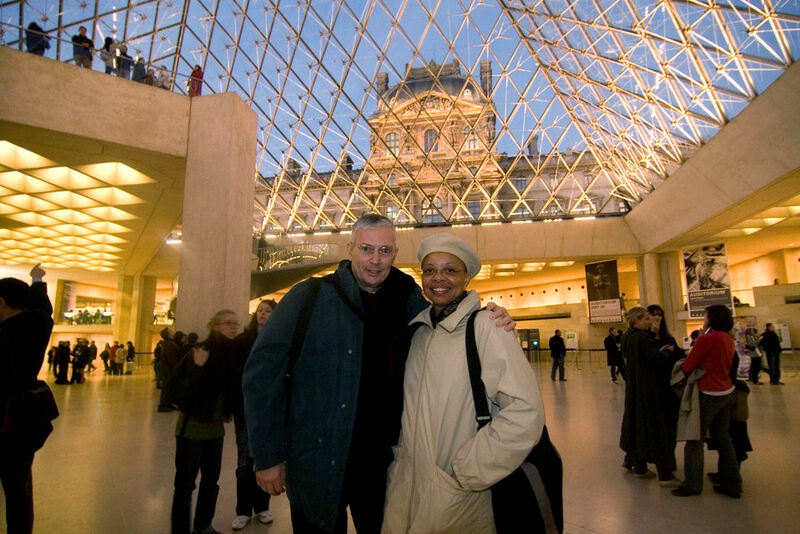 Seven years after their relocation to Paris in 1992, and after a trip to Italy using a self-guided itinerary, Tom and Monique thought, “Why not offer the same for Paris?” and a business was born. Discover Paris™ became a website, programmed entirely by Tom, with information on Paris and downloadable guides in 1999. The newsletter, a brainchild of Monique’s, was at first in 2000 a free single-article resource, but became available as a service to paying subscribers in 2005. The current newsletters contain subscriber exclusives in a feature article, an in-depth restaurant review, and in a special section called “Paris, Past and Present” — a shorter, closing article on Paris’s history and culture. 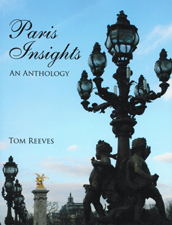 The book Paris Insights: An Anthology, came by suggestion of Tom’s brother. 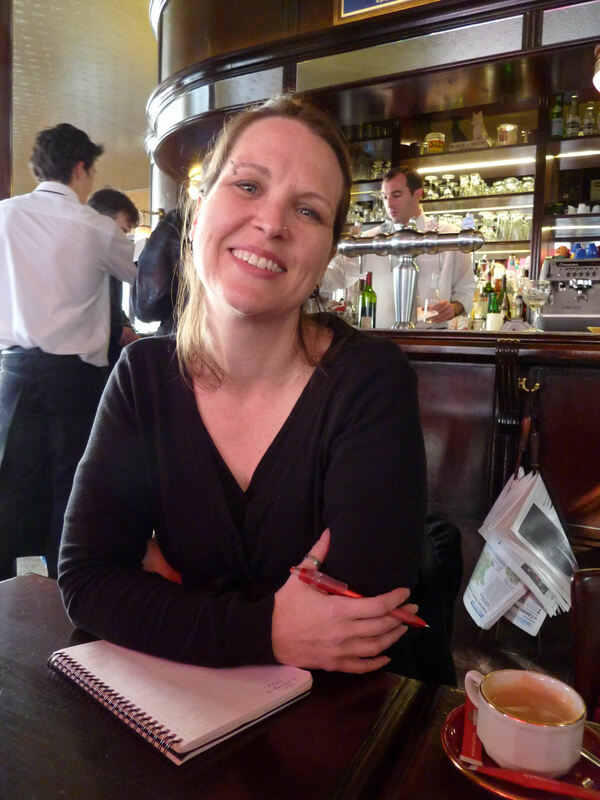 He thought a “Best Of” with all of the years of accumulated writings in the newsletter would be a great addition to the company’s offerings, so Monique, already an author several times over with books such as Food for the Soul: A Texas Expatriate Nurtures Her Culinary Roots in Paris, started work on the compilation of articles for the book. While Tom and Monique try to help people with a detailed travelers’ questionnaire in order to match travelers with appropriate tours, they have also found an increase in people requesting instant, personal contact via guided tours. And while Tom and Monique’s self-guided downloadable tours could cover days of travel and exploration, there was increasing demand for shorter tours where people could be led around without having to focus on anything except the information about the sights. So, Discover Paris™ now also provides these services. Entrée to Black Paris™, Monique’s new and independent focus outside of the traditional Discover Paris™ tours was born in a similar fashion to the original business: through curiosity, serendipity, and seizing opportunity. Monique herself was not aware of the history of African Americans in Paris until she heard about a 1994 academic conference at the Sorbonne highlighting the African-American academic and artistic experience in Paris, and then as she went on a tour presented by the association in Paris called “Sisters,” where she learned more about the presence of African-American writers and artists living as expatriates in the city. Discover Paris™ developed a tour called “Black Images in European Art,” and then over the years, Monique continued to write and give tours called “Discover African-American History in Paris.” Eventually the material reached its limits with the regular tours, and Monique decided it was time to branch out with Entrée to Black Paris™. What has amazed me in writing this post is all that Tom and Monique have accomplished over the past eleven years since deciding to start Discover Paris™. I feel very privileged to have met them and to know more about their commitment to sharing a perspective of Paris that is for “well-educated, discriminating travelers who desire a richer and more in-depth experience in Paris…” (Paris Insights: An Anthology, page 123). I wish them every success with everything on which they are working, and thank them for renewing my confidence that there are things for me to learn about and appreciate here in Paris that go beyond the typical. To re-cap all of the services Tom Reeves and Monique Y. Wells offer, here us a summary of the links to their various ventures. Discover Paris™ is Tom and Monique’s original company with downloadable self-guided tours of Paris as well as information on how to sign up for and contract guided Paris itineraries and tours. It is a custom-created travel service based on Tom and Monique’s insider information as full-time residents of Paris. 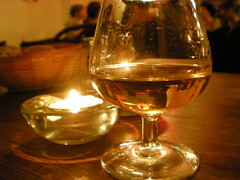 Paris Insights is the portal for the Paris Insights Book, the Newsletter, the Restaurant Review, and the Blog. At this site you can find and sign up for information from Tom as an author and restaurant reviewer. is to increase awareness of Paris’ black heritage among all [emphasis added] people – particularly those who already know and love Paris, and are seeking new avenues of exploration to enrich their cultural appreciation of the city. It shows how happy I was to further make their acquaintance and discover more about Discover Paris™. Stay tuned for future Special Reports! I just read a terrific interview of Monique by Miles Marshall Lewis at FurtherMucker.com. Please go and check it out! Now, back to writing, Sion! Best with that! Haha! I’m totally your partner in crime! Great post, I’m sorry I missed the adventure. What a lovely post – and photo of you! I knooooowwww! I’m sayin’!! 😉 Did you like your sneaky little linky cameo in the post?! 😀 Thanks for the props on the post and the photo, and I hope to see you again, really soon, minus Calvados, but only because maybe next time it should be margaritas or something like that, lol. I’m really interested in Paris during the occupation …reading Is Paris Burning right now as a matter of fact. someone should have tour that takes you to specific places that were important during that time…but then again I’m sure somebody already does. I am very interested in Paris during the occupation, too. I did not go, but this author just signed at Shakespeare and Company on Monday night: Charles Glass — Americans in Paris: Life and Death Under Nazi Occupation 1940-44. It sounds really good. I read Sarah’s Key last year, and just saw the movie here in France “Elle s’appelait Sarah,” which was an excellent adaptation. Suite Française is another you should read if you like this kind of thing. Yeah, I think I have seen a tour available of WWII Occupied Paris places… but can’t think of where. I know that Tom and Monique offer a Liberation of Paris Tour through their site, though! ha ha…I’ve read all of those except for the Charles Glass..hasn’t been released here yet…and lucky you seeing the movie already of Sarah’s Key…also not released here…but I’ll be seeing that for sure…take care Paris Friend. Such a wonderful story and your time out sounds great too (and Calvados) . Lots of great link clinks, which I do a lot of 🙂 as you know I like to see outside the tourist area . What a bloggers meet up. I would love to have the guts to move to Paris .. apart from having my sons and their families here , and my mum and brother , .. Oh yes and my husband … 🙂 It is only a skip across the sea, but I would have no chance of getting work .. and nor would my husband .. (breadwinner) but now I have such wonderful friends there, good excuse to book a ticket. Take care , I am saving for my next trip , unfortunately not until next year, I really miss it over there. Hello, Anne! Thank you so much for this kind comment, and I am sorry it took me six days to reply to it! Take care, Anne, and thank you again for reading. This post was fantastic!! A wealth of information– I need to go back and reread a few times just to digest everything!! Monique and Tom’s Tour sounds amazing– Your review has really got me interested! Kudos to you on putting out such a in depth look at everything! I really enjoyed hearing about it and your experiences/meeting up with new blogger friends! I’m glad that the writing here made you interested in another side of Paris. I think what Monique is doing with the Entrée to Black Paris is a really important project for developing not only expat and tourist’s understanding of the diversity in Paris history, but maybe it will impact Parisians, too. I hope that some people in Paris will take note of what she is doing. Who knows? Maybe she’ll start tours in French for French people to learn more about Afro-centric Paris, too! That would be cool! Hello, Annie! Thank you very much. And may I say you also have a very, very cute blog yourself! 🙂 Thank you for commenting (and I’m sorry it took me a few days to leave you a reply…). I hope you will come back again soon. Orrrrrr, the next time I write anyways, lol! Andi — Thanks so much for the mention in the Saturday Six! I appreciate it on Tom and Monique’s behalf, too, especially with the important work Monique is doing trying to share a Paris that is not as well-known, and should be. I hope that many will consider learning from her on an Entrée to Black Paris tour! So worth it!! What a detailed and well-written article. I adore the picture of you. Thank you, Englishvers! I appreciate all the positive response from you! Yes, yes, yes — do spread the word, for this tour and I am certain the others Monique offers, too, are so worth it. I truly value a multicultural and diverse perspective to life. Maybe part of it is having a kiddo back in the States who is bi-racial and bi-cultural, too (half Chinese) — I know from experience how important a well-rounded perspective is and I appreciate what Monique is doing to enlarge people’s understanding about Paris and the people who have lived and spent time here! My life is enriched by the experience, for sure. Take care, and see you ’round the bloghood! Hello all you lovely commenters to whom I have not replied yet! I hope you are not thinking I am LAME. Well, sometimes I am, lol. I’ve wanted to reply to each of you who have been on here, but I have been trying to do NaNoWriMo (see my sidebar —–>) and also have been babysitting, cleaning, and yes, socializing with folks the past couple of days. It’s been busy. Plus Paul and I still have that computer sharing thing going on. I have to get about 900 more words logged in for NaNo before the end of the day, so I will come back tomorrow morning, Paris Time, and reply to each of you for your lovely words. Ummmm, okay — maybe Monday, lol!! I have had a couple of busy days, but I am being very successful with NaNoWriMo, too, and getting words written! Yay! Good on ya re NaNo! I’m very jealous – maybe next year. Loved your recent post(s) — hope to read them more slowly and thoughtfully once we get to Paris in a couple weeks. The blog-fest luncheon/get-together looks awesome. Maybe we can connect for coffee or something (in early Dec!? apres your 50,000 words) — not sure of our schedule yet and know you and Paul are busy busy busy but just wanted to check in and say keep writing! Cheers for now and take care (and a ‘hi’ to Paul too!) from Oz. Hello there, Carolyn! Ahhhh, yes! You will be here! I certainly hope that Paul and I can connect with you this visit, for sure. 🙂 Paul is here until mid-December, but I am here through the holidays. Paul works a 9-5:30 schedule most weekdays, and mine fluctuates during the week quite a lot, but you can catch both of us on Sunday afternoons for certain. Anyway, here I am commenting our schedule to the world, lol. Eh. Anyhoo, I am writing, writing, writing. I post updates on Twitter and Facebook, so if you connect with me there, you can see the progress. I’m excited you are going to be here again! Yay! You have the most interesting experiences. Amazing the variety of people who have made Paris their home at one time or another. You are in good company! Hi Carole! It is pretty incredible the many people who have wound up here for one reason or another, and I really appreciate that diversity & learning about people’s personal stories for being here. Hi Karin! Sorry, I have been absent from your blog for too long. Have been busy … and I know that when I open your blog, I will stay there for at least an hour, like now! Hello, Peter! It’s so nice to see you here! Welcome. 🙂 And my goodness, but you have had some very good reasons to be absent, and busy indeed, so thank you for visiting and spending some time here. I’m wondering if your blogger friends have done any research on Edith Wharton, another American literary expat. I have become kind of obsessed with her. Reading, and re-reading her books as well as her biographies. There was an article in the N.Y. Times last winter about her Paris affair. She lived on 53, I think, Rue de Varenne, just down the street from the Musee Rodin. What I find the most fascinating is, despite speaking, and even writing in, perfect French, it seems even Wharton, who lived in Paris for 20 + years, essentially traveled in American and Brit expat circles. Of course she had some French acquaintances but essentially, it was America does Europe. Albeit, in a style that only uber wealth could allow..
Ohhhhh! I had no idea Edith Wharton spent time here! That is so cool!! What I find the most fascinating is, despite speaking, and even writing in, perfect French, it seems even Wharton, who lived in Paris for 20 + years, essentially traveled in American and Brit expat circles. I do know that there have been sections of books written by expats in France who address this “it’s hard to make French friends” issue. I was just reading up on Sylvia Beach, who did seem to be able to break on through to make many French and expat friends alike, though. I want to know more about how she did it. Speaking of, I need to hop over to your place soon to see what has been up with your munchkins. And I think it is a happy birthday to Isla, too, this week, isn’t it! 🙂 I hope she has fun turning five! Happy B-Day, Isla! I’ve got to go NaNo write now, but I will be there soon. Have a good one, Betsy, and thanks for all the juicy Wharton info. I’m going to have to check some of that out! (Wikipedia, here I come! Well, soon, anyway…). Yup. I just survived Isla’s party today. I blogged about it at Momfo. Edith Wharton originally started writing Ethan Frome in French as an exercise. She wrote the entire book, which perfectly summed up the dreary isolation of a rural New England winter, while in Paris. And you remind me of the very important point that she did write about New England — a place to which you have great connections! I can see how she has allure for you as a New Englander with French connections. I really do have to check her story out more deeply!